Long call is a bullish strategy. This is a very simple and straight forward strategy. 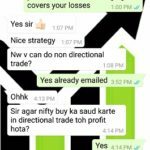 This strategy is followed by most option traders all over the world even in India. In fact this is the first strategy option traders start with. As soon as a trader learns options the first thing they do is buy an option in lure of making unlimited profits. How many option traders will read that and NOT become greedy? Almost all will and try their hands in option buying. Note: This does not mean a trader always make unlimited profits buying options. In fact most option buyers lose money. The reason is the lure of hitting the jackpot one day. Unfortunately that unlimited profits never comes and in the dream of getting those profits traders keep losing money for years but they still believe that one day one option will recover all their losses. This NEVER happens. Here is an example of a trader losing 40 lakhs buying options. Ok, coming back to the topic. Let me discuss in a simple way. Suppose you feel a stock ABC Ltd will go up in next 2-3 months, what do you do? You simply advice your broker to buy that stock. If it goes up as you guessed, you sell it and make money. However if the stock doesn’t go up, you wait until it goes up to sell. If your view in Nifty is the same – that it will go up, what can you do? There are no shares of Nifty floating in the stock markets. So you have two options. Either buy futures of Nifty or buy calls. Well both have their pros and cons. If you buy futures you are taking unlimited risk. For example if you buy a stock futures when the stock is at 100 and if your view goes wrong and the stock starts going down, you will panic and sell the future at a loss only to see that your view was right and the stock started climbing up again. This happens to most future traders. After taking a stop loss they see the stock moving in their favor. What is the solution? 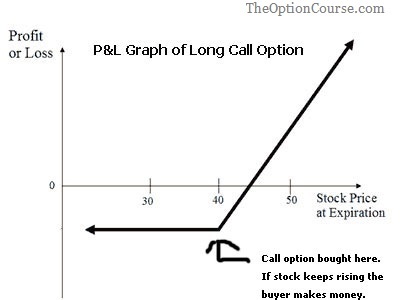 Solution is hedging futures with options which is well explained in my course. What I want to say is this, buying/selling futures will not give you the confidence to stay in the game for long. With futures you need extra-ordinary timing. The stock should go up from the point you bought the future else you may panic. How many times can you time the markets? You will lose 8 times out of 10 for sure. However what if you buy a call option instead of a future? Lets suppose a current month ATM call is at 100 and its lot size is 50, which means you only pay 100*50 = Rs.5000/- to buy a call. So your maximum risk is Rs.5000. Does that give you some confidence? Of course it does. Now even if the stock is going down, you can wait as you know the maximum you will lose is Rs.5000/- only. In fact if you have decided that you will take a max loss of 2000 in this strategy – this will give you even more confidence. For you to lose Rs.2000/-, the call should reach 60 – a 40% decline. For that the stock lets assume has to go down 80 points for you to take a stop loss. If your view was right, it actually may not go down till there, from some point it will start the upwards journey. In the above example had you taken a future you would have taken a loss of Rs.4000/- (80*50) – double compared to call option. But still many traders prefer futures. You must be thinking why? Its just because if the risk is less in options, even the rewards are less. Lets take the above example. Lets suppose you bought one lot of futures and one lot of call option at Rs.100 when the stock was at 5500. Lets also suppose you were right and within 2-3 trading sessions stock went up 100 points. In futures you profit stands at: 5600-5500 = 100*50 = Rs.5000/-. And your profit in the Call Option? The call would have grown by only 50 points or slightly more/less. Why? This is due to Delta. Delta is value that decides how much an option will gain in value if the stock gains 1 point. Delta works differently with different strike prices. Lets not get into further details of delta except that it effects the way option prices increases or decreases with the underlying. So your gain would have been 50*50 = 2500.00. Not fair? No it is, if your risk is less, why should you gain more than your risk? I would advise, buy options if you feel markets will go up. Be ready to take a stop loss at a point where you are comfortable. Most traders keep a 20-10 strict rule of profit vs stop loss. That is a 20% profit and 10% stop loss. However you can have your own rules. With this rule if you are right even 50% of the times, you will be in profit. Another important thing that I want to mention is that do not take your options to the expiry. Its very risky. If your are taking a profit, just sell the option and be happy. You will not go broke booking profits. You can take the option to expiry only if you have already lost most of your premium and you are certain that markets will eventually take a turn that too before expiry. But you should never let yourself be in that situation in any case, you should take a stop loss. Markets behaves in their own ways, we need to respect that behavior and take our loss or profits whenever we are comfortable. Now the next question is which option to buy. As I have mentioned before there is something called Delta that effects the option prices. ITM (In The Money) options have higher delta, which means they move smartly with the markets. Deep in the money options will almost move 1-1 with every increase in nifty prices. But the only problem is that they are very costly. In that above example when the stock is at 5500, a 5400 near month call will be priced at approx 140-160 depending on the time to expiry. To buy this call you may need anywhere from 7000-8000 rupees. But the benefit is that if nifty moves even 20-25 points you can realize a good profit. However deep OTM (Out Of The Money) calls will be cheaper. 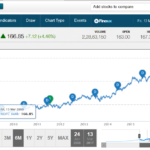 For example when the stock is at 5500, a near month 5700 call will be around 35-42 approx. You can buy more lots with the same amount of money, but a small move in the stock will have no effect on a OTM call, and if the stock does not move beyond 5700 until expiry, you may lose your entire investment. 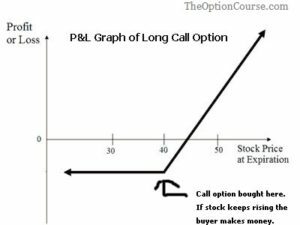 Therefore if there is no apparent reason and you want to buy not-hedged calls, just buy at least at the money calls, but never out of the money calls. You should always look for percentage when trading, buying more options with less money will not be of any help. Buy ATM calls and work on percentage. ITM calls will be very costly so its better to avoid them. If you have less cash, then buy less lots of ATM calls or puts. At least if the markets moves in the direction you predicted you will make some profit and get out. As far as OTM calls are concerned, sometimes even if your view was correct you may start to see your options lose value with time and you may sell at a loss – this even if your view was right. Therefore I highly recommend buy ATM or ITM calls only. Learn Option Trading with perfect hedging to make a monthly income without stress, which will be kind of side business. Once your account grows big enough you can do it full time. See testimonials here. You can enroll for the course here. Good advice for new traders . Thanks for reading Madhukar. Happy that it helped. ‘ Buy ATM or ITM calls and sell OTM calls. ‘. Very useful Dilip sir. Request if you can keep writing these kind of articles which will def help me recover my lost money when I start again. I can assure you that my first attempt will be to become your one of the paid members as soon as I am financially stable.